Every year, tens of thousands of Americans are injured on treadmills. Details on Dave Goldberg’s death are still murky. The entrepreneur and husband of Facebook’s chief operating officer Sheryl Sandberg was found bleeding out in a Mexican hotel gym on Friday. He died shortly afterwards at a nearby hospital, but the strange circumstances are only slowly emerging. Despite the darkness surrounding the incident, it is nonetheless shining a spotlight on the contraption at the center of the tech executive’s death: your run-of-the-mill treadmill. Goldberg slipped and fell while using one of the machines at a swanky Four Seasons near Puerto Vallarta. He hit his head and died from brain trauma and blood loss, local authorities told CNN. Data suggest that the problem is getting worse. As high-tech, high-powered treadmills proliferate, so, too, do the digital distractions that make the machines even more dangerous. 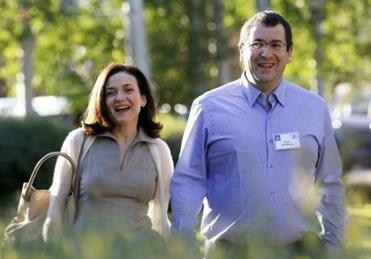 Mr. Goldberg was the chief executive of SurveyMonkey and the husband of Sheryl Sandberg of Facebook. ‘‘We have to weigh the costs and the benefits of these types of activities, and just be aware of what some of the risks are,’’ says Janessa M. Graves, a professor at the College of Nursing at Washington State University who led a 2013 study of exercise machine injuries. Treadmills are almost as old as Western civilization. The Romans used them to grind grain. They were later adapted to horses, then prisoners. It wasn’t until after World War II that cardiologists started recommending their use. When the first cheap home treadmill was invented in 1968, the trend was off and running. Today, treadmills are the nation’s most popular type of exercise equipment. More than 50 million Americans now use them, CBS reported. The exercise industry grew by 3.5 percent in 2014 to a total of $84.3 billion, and ‘‘treadmills continue to be the largest selling exercise equipment category by a large margin,’’ according to the Sports & Fitness Industry Association. But exercise equipment — and treadmills in particular — can also be dangerous. Treadmills account for the majority of such exercise equipment injuries, Graves told The Washington Post in a phone interview. In a study of 1,782 injury reports from 2007-2011, she found that ‘‘treadmill machines comprise 66% of injuries, but constitute approximately only 1/4 the market share of such equipment. In many cases, kids turned on their parents’ treadmills, only to burn their hands on the fast-moving tracks or, worse, get their fingers caught in the powerful machines. According to data from the National Electronic Injury Surveillance System (NEISS), roughly 19,000 people went to the emergency room in 2009 due to treadmill injuries, including nearly 6,000 children. Incidents like Goldberg’s death are outliers, Graves argues. Instead, most treadmill injuries among adults are simply sprains or strains to the lower extremities. ‘‘I don’t think our data suggests that those incidents that make the news are common,’’ she says. Those incidents are the ones that tend to stir debate, however. In 2009, Mike Tyson’s four-year-old daughter Exodus died after getting her neck caught in a treadmill cord, setting off a national discussion over the safety of the devices. What is concerning is the increase in exercise equipment injuries, Graves says. According to NEISS data, these injuries nearly tripled from 1991 to 2012. The same is true of treadmill injuries, she adds. The rise in exercise equipment-related injuries could be due to two factors: the spread in fitness equipment as devices have gotten cheaper and more powerful, and the proliferation of smartphones and other mobile electronic devices that may distract us as we try to run. The iPhone was introduced in 2007, for example, and exercise equipment injuries increased 45 percent over the next three years. Commercial treadmills at health clubs also feature an increasing number of buttons to be pushed and monitors to be checked, not to mention built-in television controls for built-in screens. 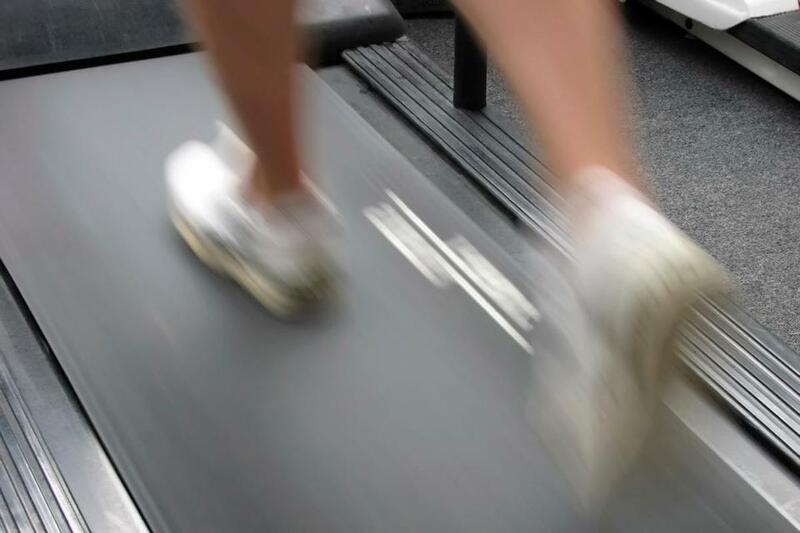 Unfamiliarity with increasingly complex treadmills can be a factor in injuries, says Jared Staver, a Chicago personal injury attorney who says he has handled more than 100 cases involving gym injuries. ‘‘Clearly if there’s not someone there to instruct a user, especially a novice user, in how to use a machine, then I think the technology and the knowledge of how to set the speeds and so forth could certainly play a role in an accident, he said, stressing that he has no knowledge of Goldberg’s death beyond what he has heard from news accounts. Graves points out, however, you can get hurt using something as innocuous as a yoga ball or an elastic band — as Sen. Harry Reid, D-Nev., did on New Year’s Day. She says more research needs to be done to see if treadmills are really any more dangerous than other types of exercise equipment, and if cellphones are really a distraction to treadmill runners. Goldberg’s family has not said how his fatal injury occurred, or if he was using a cellphone at the time.